At the time of Toto’s brief hiatus from a few years ago, the likelihood of a new studio album – the follow-up to 2006’s Falling In Between – seemed really remote. Then again, judging by the music off of Toto’s latest record, the wait was worth it. The band’s fourteenth album is perhaps Toto’s finest in a long time (it’s been said by some of the members that is it’s really Toto V)—no doubt bolstered by perhaps the group’s best lineup that is a nod to the past: keyboardist David Paich, guitarist Steve Lukather, singer Joseph Williams, and keyboardist Steve Porcaro. Familiar collaborators — including singer Michael McDonald and Toto original bassist David Hungate — join in on this album that certainly recalls elements of the classic Toto sound from the first four albums, as is the case of such strong tracks as the urgent rockers “Orphan” and “Running Out of Time”; the jazzy-soul of “21st Century Blues” and the elaborate if funky “Chinatown”; and the lovely delicate ballad “The Little Things.” Certainly “Unknown Soldier” is sweeping and moving track that carries a double meaning: referencing the band’s late and great drummer Jeff Porcaro as well as the brave military men and women. It’s no surprise that the musicianship is par excellence—something that even the band’s critics have to admit – aside from Paich and Lukather, Joseph Williams sounds like no time had passed since his appearance on Fahrenheit and The Seventh One; and Steve Porcaro delivers his first lead vocal on a Toto song since 1982’s Toto IV. 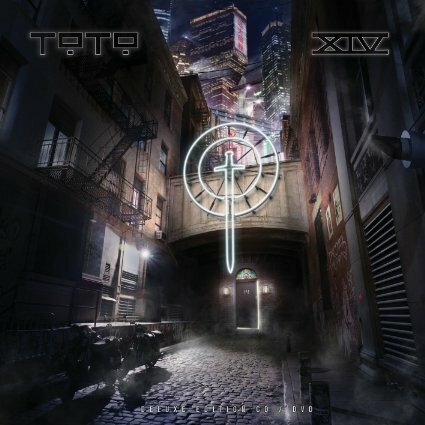 Overall, Toto XIV benefits from sounding straightforward and organic (no emphasis on maudlin power ballads) than slick, which is why it resonates.